The federal government has revamped the Australian charity regulator’s advisory board putting a corporate leader into the chairperson’s position. The new chair is Tony Stuart, the former group CEO of National Roads and Motorists Association (NRMA) and former CEO Sydney Airports Corporation. He has 20 years corporate experience in marketing, financial services and other executive roles and is a current member of the Prime Minister’s Community Business Partnership. 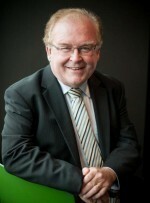 Productivity commissioner Robert Fitzgerald and Community Council for Australia CEO David Crosbie were among the original members of the advisory board who have not been reappointed to the new team by the federal government, along with Anthony Lang, a Melbourne barrister specialising in Not for Profit law. The government signed off on the new Australian Charities and Not-for-profits Commission (ACNC) advisory board lineup just before the prime minister called the federal election and the government went into caretaker mode. The advisory board is appointed by the treasurer and consists of up to eight general members with expertise in the Not for Profit sector, law, taxation or accounting, and office holders, and four state and territory representatives. Two new members to the advisory board include Not for Profit research academic Professor David Gilchrist and CEO of the Royal Flying Doctor Service Martin Laverty. Linda Mallet (continuing ex-officio member representing New South Wales). Robert Fitzgerald was the inaugural chair of the advisory board. Fitzgerald has made a significant contribution to the charity and Not for Profit sector including through roles with Australian Council of Social Service and St Vincent de Paul. He is currently a commissioner to the Royal Commission into Institutional Responses to Child Sexual Abuse and on leave from his role as a commissioner with the Australian Productivity Commission. During his time at the Productivity Commission, Fitzgerald chaired the commission’s major research study into the contribution of the Not for Profit sector, which produced a comprehensive and influential report in 2010. He was a member of the Inquiry into the Definition of Charitable and Other Organisations in 2001. In a message to Community Council for Australia members, David Crosbie said he “warmly congratulated those remaining on the board and welcomed the new appointments”. ACNC Commissioner Susan Pascoe AM welcomed the new board members and paid tribute to the outgoing board members, David Crosbie, Sheila McHale, Paul O’Callaghan, Anthony Lang, and the chair Robert Fitzgerald. “The support and good counsel from the inaugural ACNC Advisory Board made an immeasurable contribution to the success of the ACNC in the first three and a half years. I wish all outgoing members the very best for the future,” Pascoe said. “I want to particularly thank the outgoing chair Robert Fitzgerald for providing outstanding guidance and support to the ACNC and to me personally as Commissioner. He maintained calm steady governance during the establishment of the ACNC – a period of great uncertainty for the new regulator. Pascoe said she was pleased that the government had introduced rotation into the Advisory Board appointments with those members of the original Advisory Board retained for a period of 18 months, and new members being given three year terms. Great to see the ACNC will be continuing to build confidence through monitoring and supporting NFP organisations. I’m wondering if there will be a process of assisting these organisations to monitor their compliance with the processes in place that afford them with legitimacy that being registered with the ACNC supports?